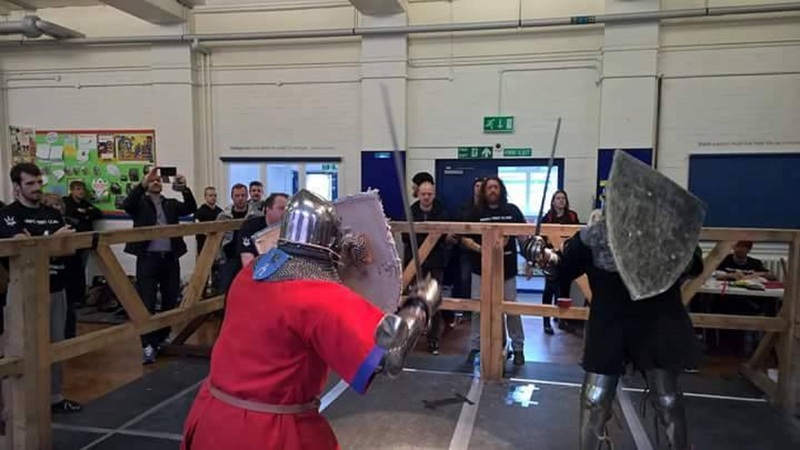 Saturday 6th February saw 18 of Europe’s finest fighters enter the lists to compete for the World Medieval Fighting Championships in Sword & Shield, the first ever event of its kind held in England. 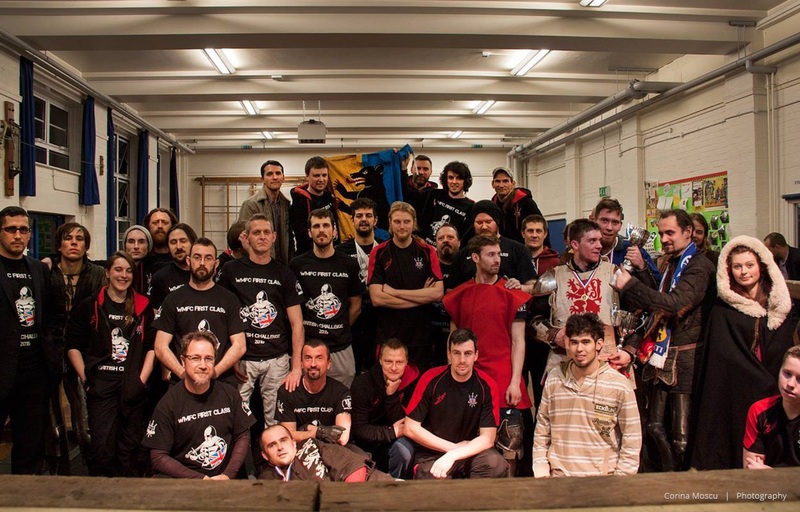 The fighters from Britain, Italy, Germany, France, Estonia, Denmark and Russia all went head to head in a series of gruelling fights to find the best of the best. Four groups were formed according to weight categories, with fighters in each group of similar weights. With 4-5 people in each weight category group and 6-10 fights in each group, the fighters had to stay alert and ready to fight all day for when they would be called. The intensive rounds, 3 minutes in total, were fought to the best of all the fighter’s abilities and had the crowd engrossed in every second! This didn’t stop outside the venue though, as more than 10,000 people watched the live feed of the event throughout the day. Of the 18 fighters, only 6 went through to the Quarter Finals to decide who would fight for the title in the semi-finals and final. The Quarter finalists were Pasha Truelove, Dawid Dyczek, Pawel Kurzak, Rowland Longley and Daniel Winter representing Britain; Sebastian Coors representing Germany and Viktor Pohvalin representing Russia. 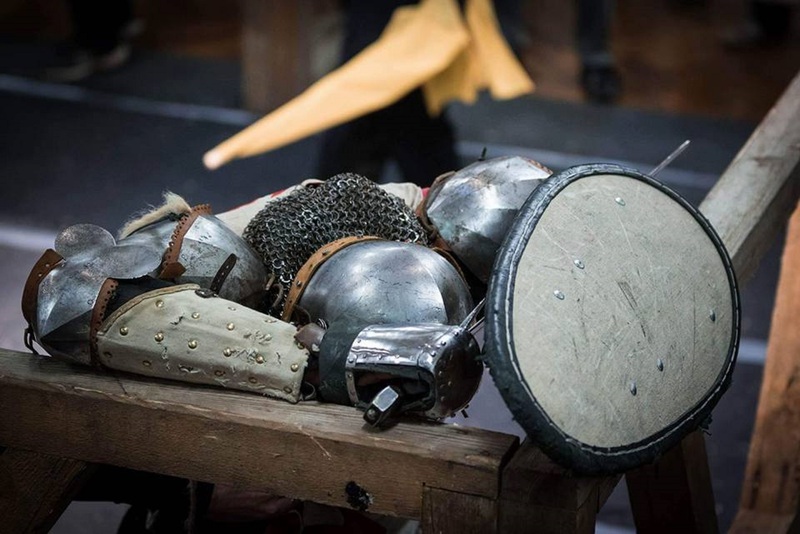 The Semi Finals saw Sebastian Coors, Pawel Kurzak, Pasha Truelove and Dawid Dyczek facing off in the lists once more, with Viktor Pohvalin and Daniel Winter taking a well-deserved rest after their day of intensive fighting. Pasha Truelove came 4th, just missing 3rd place which went to Pawel Kurzak – for Pasha though this can’t have been a problem as just two weeks before he had won WMFC Israel! The Final saw Sebastian Coors and Dawid Dyczek fighting for glory. The two 90 second rounds were high-energy, with Sebastian taking 1st place and so taking the winner’s belt back to Germany with him. 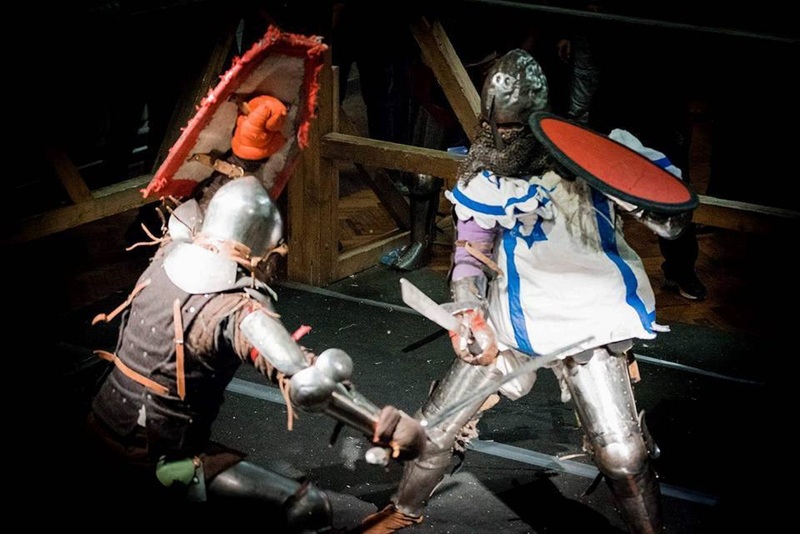 The last event of the day was the bonus fight – a Profight between Lukasz Kowal, representing Britain, and Michael Morgulis who made the journey from Israel to fight at the end of the day. The fight was accented by the venue’s lighting and the tension in the room was so thick you could have cut it with a knife! After an intense fight, Lukasz Kowal took the victory.